Fans of DC Comics will be pleased to know that CapitaLand malls in Singapore are exclusively rolling out an extensive line-up of hero-themed activities to delight shoppers both young and old as they await the most anticipated action-adventure feature film of the year, DC Comics’ Batman v Superman: Dawn of Justice, coming to cinemas 24 March 2016 from Warner Bros. Pictures. Starting with Bugis+, the Level 2 Atrium will transform into a battleground for Batman v Superman until 3 April. 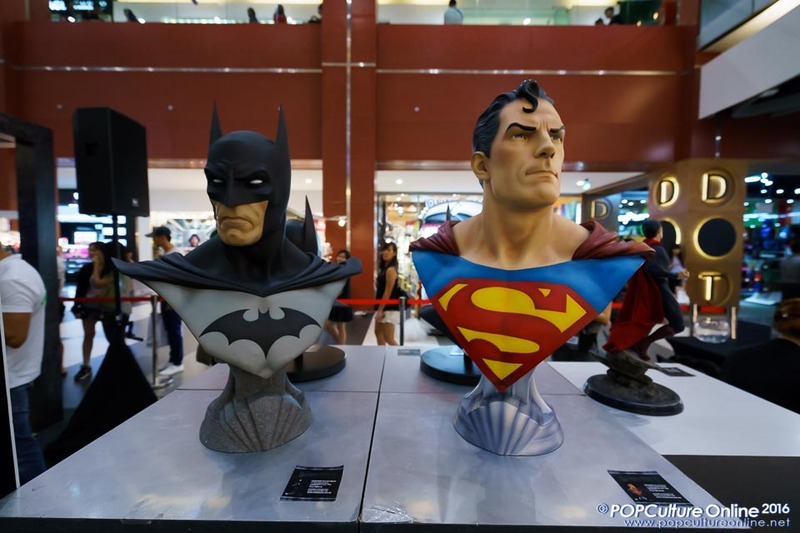 Set in a high-octane battle scene between the heroes of Gotham City and Metropolis, life-size statues of Armoured Batman, Superman and Wonder Woman – measuring 2.2 metres in height – stand majestically, providing an Instagram-worthy photo backdrop for shoppers. After taking photos, shoppers can live out their hero fantasies at the motion-controlled game zone which immerses players in different battle scenes from the movie. Supporters of Batman can experience the thrill of hurling the Dark Knight’s signature batarang at villains, while fans of Superman can use The Man of Steel’s heat vision to clear obstacles while flying around Earth. 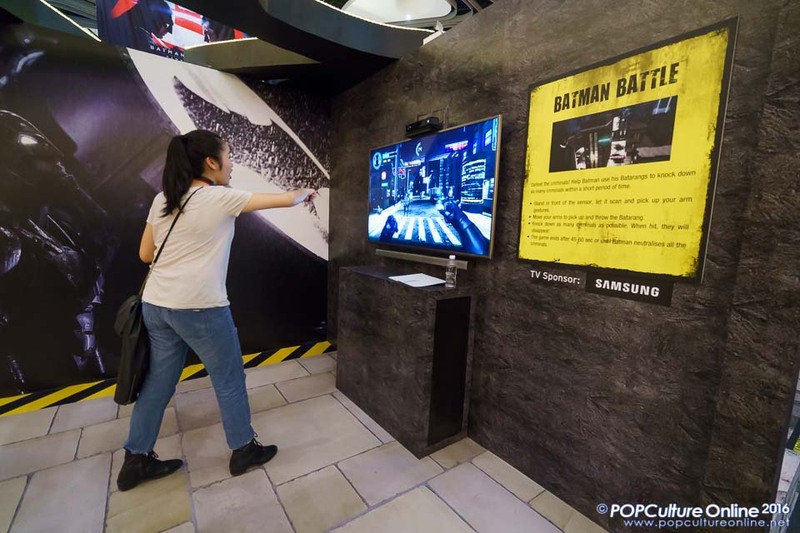 Shoppers who are undecided about their favourite hero can try both game stations at Bugis+ from today until 3 April, and at Funan DigitaLife Mall from 14 to 20 March. 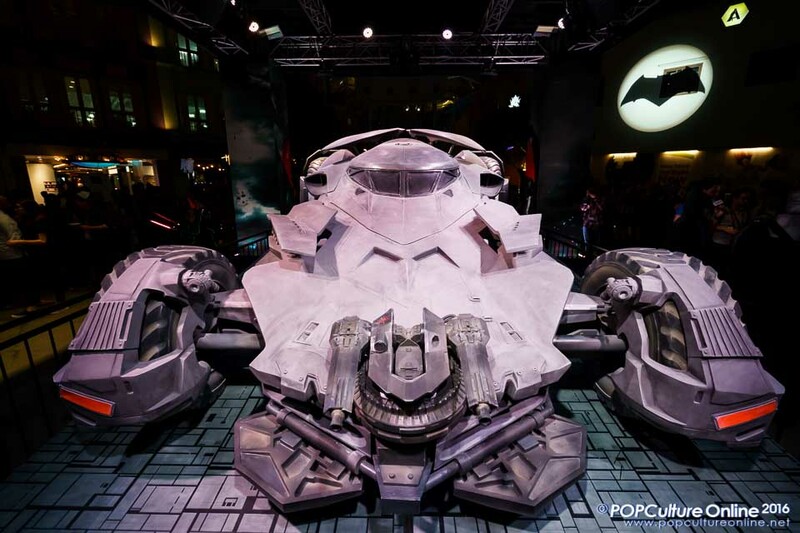 Fans of the Caped Crusader will also not want to miss the chance to see the Batmobile up close as the latest incarnation of Batman’s latest ride will be at two CapitaLand malls. 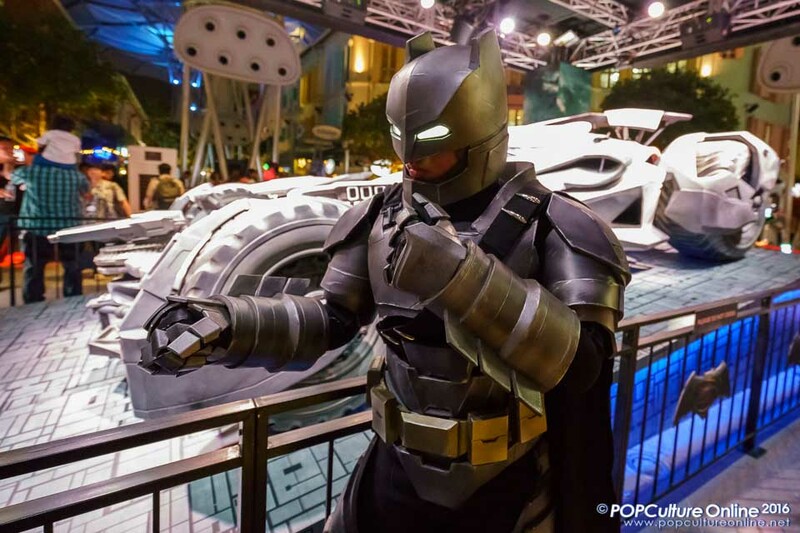 The fully armoured and equipped Batmobile replica will be exhibited at Clarke Quay from today until 20 March, and at Westgate from 22 March to 7 April. 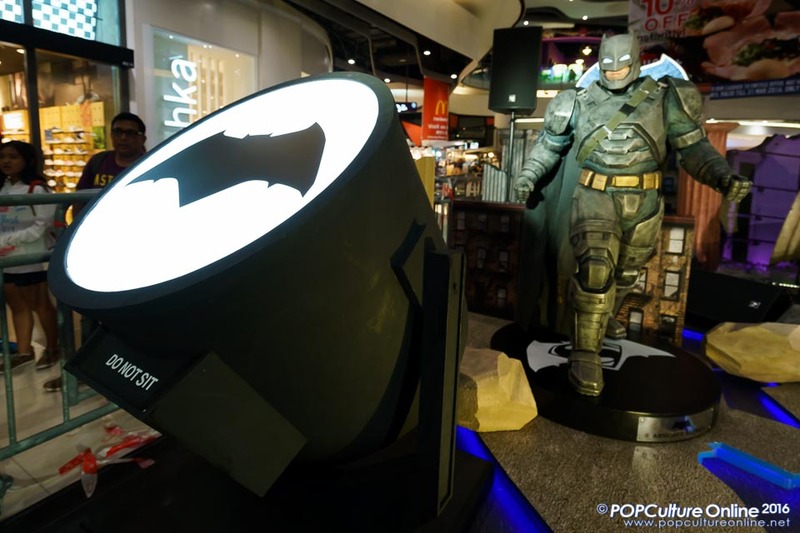 If taking photos of this iconic vehicle is not enough, shoppers who spend a minimum of S$60 at Westgate can take home a complimentary instant print of themselves with the Batmobile replica in an exclusive photo sleeve. Avid toy collectors should not miss the toy fairs taking place at Bugis Junction (7 to 27 March), Junction 8 (14 to 20 March) and Raffles City Singapore (21 March to 3 April). 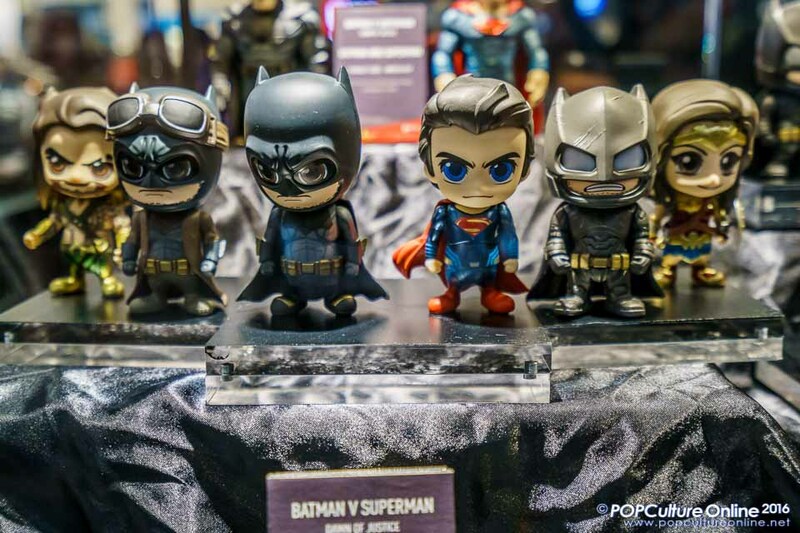 Selected items from the Hot Toys and Funko Pop collections brought in by Action City and Simply Toys respectively will be exclusively sold first at these toy fairs. Other great activities that fans of the upcoming DC Comics’ Batman v Superman: Dawn of Justice superhero movie can look out for include exclusive collectibles, participate in a lucky draw to win a pair of air tickets to Hollywood in Los Angeles, United States, and enjoy an exclusive Warner Bros. VIP studio tour, win movie passes and more. Head on to www.capitalandmallasia.com.sg/batmanvsuperman for more information on the upcoming Batman v Superman: Dawn of Justice activities taking place in CapitaLand malls.